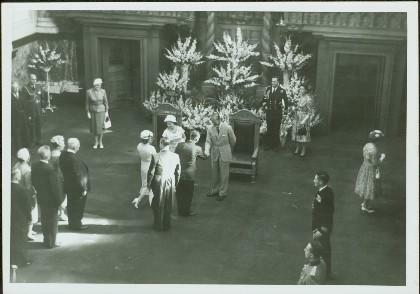 Item is a photograph of Mr. & Mrs. Williston being presented to the Royal couple. Inscribed in pencil on verso: No.5. Photographer: Victoria : Dept. of Recreation and Conservation, Photographic Branch.